Even if you aren’t familiar with the name, you likely know the feeling. Tactile printing is becoming more and more common on packaging, labels, secure documents and even currency. Robert Eckard explains tactile printing in the excerpt from his report Tactile and Dimensional Printing: Global Markets to 2022 below. 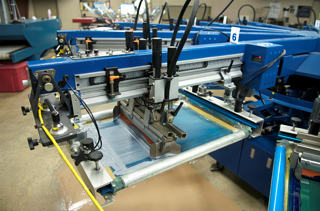 Tactile printing, or dimensional printing, carries several definitions within print applications. In a nutshell, tactile printing uses paper, plastic films, rigid plastics and various other materials as substrates, then adds features to the surface of the substrate using a variety of techniques. These include embossing, pressing, plating, layering of inks or use of special papers designed to selectively expand, creating texture. Note that it is the printing technique, however, that adds texture to the substrate. Application of ink to substrates that are rough or that contain textural patterns or other texture to start with is generally not considered tactile printing. In some cases, 3D printing is referred to as tactile printing. However, these two technologies are substantially different. Tactile printing applies a texture or textural pattern to a substrate. In contrast, 3D printing builds a three-dimensional object. With 3D printing, for example, one might generate an object that, with the proper equipment (such as an ultraviolet [UV] inkjet printer), could be subjected to tactile printing. Three-dimensional (3D) printing. 3D printing is a quickly developing and expanding set of technologies capable of using what are in essence modified inkjet print apparatuses to manufacture 3D objects and products. 3D printing has made significant strides in recent years and is becoming a go-to technology for the manufacture of goods that would be difficult to manufacture with standard formation technologies, and for experimentation, design development and even art and education using computer-aided design tools. Within the scope of this report, 3D printing is discrete from tactile printing in that it does not print on a plastic sheet, paper or other sheet film. Conventional printing. Conventional flat printing using a laser jet, inkjet, printing press or other technique that produces print or graphics without texture is not considered tactile printing. Similarly, techniques that print onto texturized paper, plastic or other 3D surfaces are also not considered. In contrast, tactile printing refers to printing systems in which any texture is generated by the printing process, not by overlaying print or color onto a pre-engineered form or texture. Printing of a painting onto a canvas, for example, or onto another texturized surface would not be considered tactile printing. Texturization. Texturization includes coatings, sprays and other systems and techniques that add texture to paper or plastic films. Texturization can occur before or after printing. While tactile printing generates letters, shapes and other forms, texturization applies roughness, smoothness and other textures across all or part of a paper or plastic film. Engraving, or cutting down into a paper or film using lasers or other tools, can be used to create striking tactile and visual effects. However, engraving is a process that is wholly separate from printing. The global market for tactile and dimensional printing is set to reach $1.9 billion in 2022, at a compound annual growth rate (CAGR) of 10.8% from 2017-2022, which is far and above the projected growth for the traditional printing markets. Analyst Robert Eckard recently discussed the market for tactile and dimensional printing—a vibrant market being driven by cheaper UV printing technology, growth of short run printing and more label printing that includes tactile elements. Members can access the full webinar recording by visiting the Member library.